Doors Open 7.30pm, showtime 8.30-10.30pm (with intermission). After a sold out single launch here in December, Brooke’s back at the Ember Lounge with her full band. Support from the garage blues trio Jess Parker and the Troubled Waters. 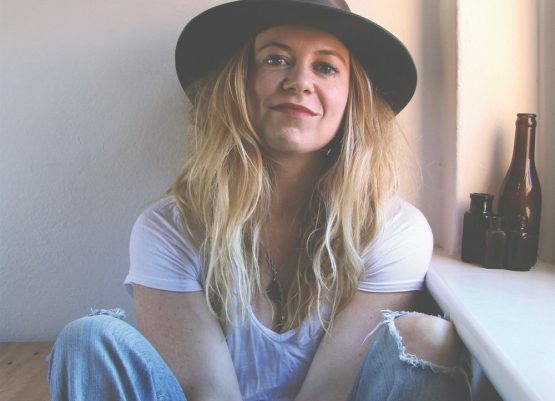 Brooke Taylor is an Americana singer/songwriter from Melbourne. Her music is bursting with playful rhythmic guitar, soaring melodies and honey-toned vocals with a Pop edge. Her raw passion, magnetic energy and cheeky flair bring her songs to life. Taylor writes about the human condition, drawing listeners in with her strong storytelling and visceral lyrics. Taylor is an exciting performer and an artist to watch out for. Over the years many, many musos, bands entertainers and artists have called and still call St Kilda home. MEMO Music Hall would like to put the spot light on a selection of these performers and hence is presenting Summer Sounds Of St Kilda 2019. From Jan 8 – Jan 26 we are putting together an eclectic collection of artists, who live or have lived in St Kilda, to perform at MEMO Music Hall and the EMBER LOUNGE. It wouldn’t be St Kilda unless we had a least one tourist, so Deitra Farr, ‘Queen Of The Blues’, singer out of Chicago USA will bring the Summer Sounds Of St Kilda to a close on Saturday night Jan. 27. It’s going to have a very informal feel, the idea is you can come off the beach and check out “a local” playing at MEMO or The Ember Lounge, enjoy a beer without having to spend “a motza”. MEMO Music Hall is a “hidden gem” of a performance venue that is quickly becoming a “must play” for a lot of musos. It opened in 1924 as a dance hall dedicated to raising revenue for distressed soldiers and their families. Following the rise in popularity of cinema, it went on to house The Memorial picture theatre from 1927 to 1958, when it became affectionately known as ‘The Memo’. From 1961 to 1965 MEMO Music Hall was the home of TELEFIL recording and film studios under the supervision of legendary sound engineer Bill Armstrong. Amongst its claim to recording history fame is its location for Normie Rowe’s 1965 hit, It Ain’t Necessarily So. Banned initially for its lyrics, it was the first number one record in both Sydney and Melbourne, by a Melbourne-based artist. The stars of Channel 7’s weekly variety program Sunnyside Up, including Olivia Newton- recorded the audio at MEMO miming to the pre-records live on-air. The Channel 9 Big Band also recorded at MEMO due to its size and acoustic splendour. Falling into disrepair in the late 80s MEMO was closed to the public, reopening in 2015, its now fully renovated and kitted out with a new stage, sound and lighting systems. MEMO now plays host to many top Australian and International touring musicians. Summer Sounds Of St Kilda 2019 coming in January will be another bench mark in the already amazing life of MEMO Music Hall. This is the only gig for Brooke Taylor w/guest Jess Parker, better be quick!